The plastics industry depends on high-tech machinery to manufacture the products and materials that make modern living possible. Whether big enough to fill an average-sized home or small enough to sit on an office desk, this machinery should be built to standards designed, first and foremost, to ensure the safety of the machine operator or maintainer. 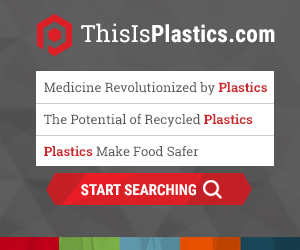 The Plastics Industry Association (PLASTICS) is an American National Standards Institute (ANSI)-accredited standards developer that works to ensure that all plastics machinery is built to standard. The ANSI-accredited operating procedures meet the requirements for due process and development of consensus required by ANSI. Through its Machinery Safety Standards Committee, PLASTICS is able to provide professionals throughout the industry a venue to work through ANSI procedures to ensure the standardization of plastics machinery to protect workers and achieve efficiency in productivity. To purchase copies of machinery safety standards, visit the PLASTICS store. B151.5, Safety Requirements for Plastic Film and Sheet Winding and Unwinding Machinery: This standard is being updated to include a more risk-based approach to machinery safety, to update relevant references and make other necessary changes. If you are interested in participating, contact Megan Hayes (mhayes@plasticsindustry.org). B151.11, Safety Requirements for Granulators, Strand Pelletizers, Dicers and Single Shaft Rotary Grinders Used for Plastic Materials: This standard is being updated to include additional equipment (single shaft rotary grinders), use a more risk-based approach to machinery safety, update relevant references and make other necessary changes. If you are interested in participating, contact Megan Hayes (mhayes@plasticsindustry.org). It was brought to our attention by the Plastics Industry Association (PLASTICS) Equipment Council membership that a uniform letter used within the industry to point out safety violations would be helpful when going in to do field service work. This would send a unified message to the market place that it is the responsibility of the industry as a whole (including plastic processors) to maintain a safe environment where a piece of equipment can be properly serviced when down or in need of periodic maintenance. So, PLASTICS is supplying you with a single, vetted document for you to use when necessary. Note it is not PLASTICS’ intent to take legal responsibility for such an action Below is a link to a copy of the violation letter and sample of a typical violation write up. This can also be found on the Machinery Safety Standards Committee webpage. Should you have any questions or concerns please don’t hesitate to contact Steve Petrakis, Vice President, Industry Affairs, Equipment Council at spetrakis@plasticsindustry.org or 224.628.8336. This is just one more way PLASTICS is trying to support our members’ needs in every way possible. If you have questions about or need interpretation of any ANSI/PLASTICS standards, please complete the PLASTICS Request for Interpretation Form. Please avoid open-ended questions and attempt to pose any request for interpretation in such a way that it can be answered with a yes or a no.